Manhattan Village is a planned community and is the only gated community in Manhattan Beach. An exclusive retreat which provides a lifestyle many are surprised to discover in a beach community. The community consists of approximately 400 town and court homes and 122 estate homes. See our Manhattan Village Floorplans and Manhattan Village Map page. The village is landscaped in a park setting surrounded by trees, pools, spas, playgrounds, bike paths and a soccer field. 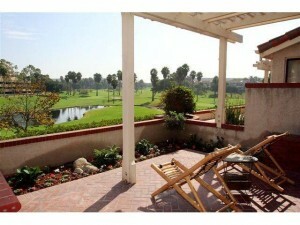 Some homes feature fantastic golf course views. The location in Manhattan Beach is ideal. Manhattan Village Mall is within walking distance, with Ralphs, CVS, Macys, fine restaurants, entertainment, the Manhattan Tennis Club, South Bay Studios, as well as a number of fine hotels. Family is what Manhattan Village is all about. You truly get that small-town feel with great schools and local activities for the kids. All this and less than a mile away lies some of Californias most famous and beautiful beaches. This is truly the ultimate beach lifestyle…..a wonderful combination of beach and community. You are cordially invited to discover the wonderful lifestyle of Manhattan Village. What Does the Homeowners Association Dues Include?